We were thrilled to have a recent fash-chat with Natalie Hughes of London-based blog Canned Fashion. 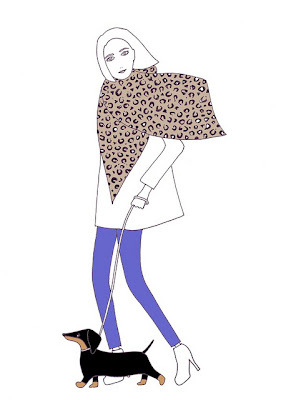 We at Seamless Styling are huge fans of her illustrations and unique fashion sense. Canned Fashion is a go-to blog of ours, and we can admit to spending multiple evenings staying in as house hobbits and scouring over her outfit photographs and her fashion themed drawings. Please tell us a little about Canned Fashion, how it came about? Oh and why the name Canned Fashion? I’d been reading fashion blogs for years, plus I was already working in fashion – it just made sense! Plus it was a place to display my illustrations and latest purchases. I can’t remember how I came up with Canned Fashion, only that I tried a whole host of domain names that were already taken. It works because each post is just a fashion snapshot, be it an outfit or illustration – I don’t use my blog for lengthy reviews or fashion features. 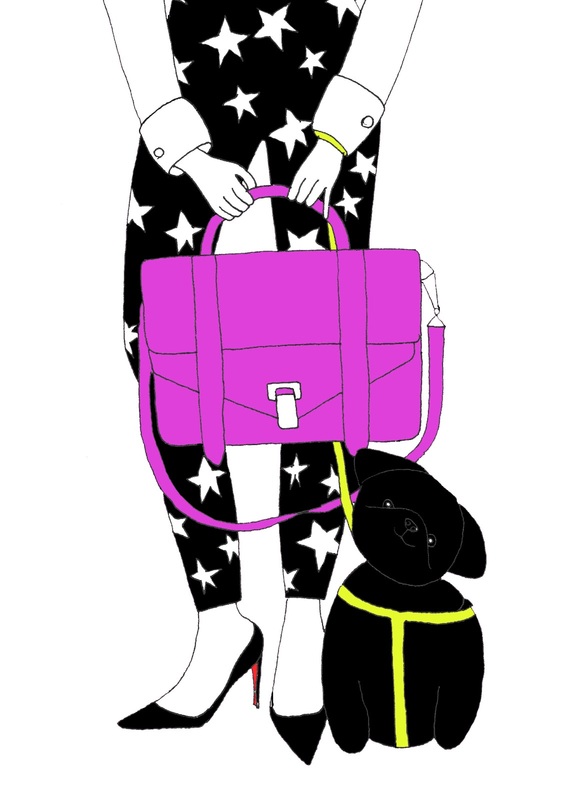 We love your fashion illustrations, also loving all the pug love… What cute animals can we expect next? I recently went freelance and I’m working on a number of projects, writing and consulting, including a start-up and a heritage British brand. 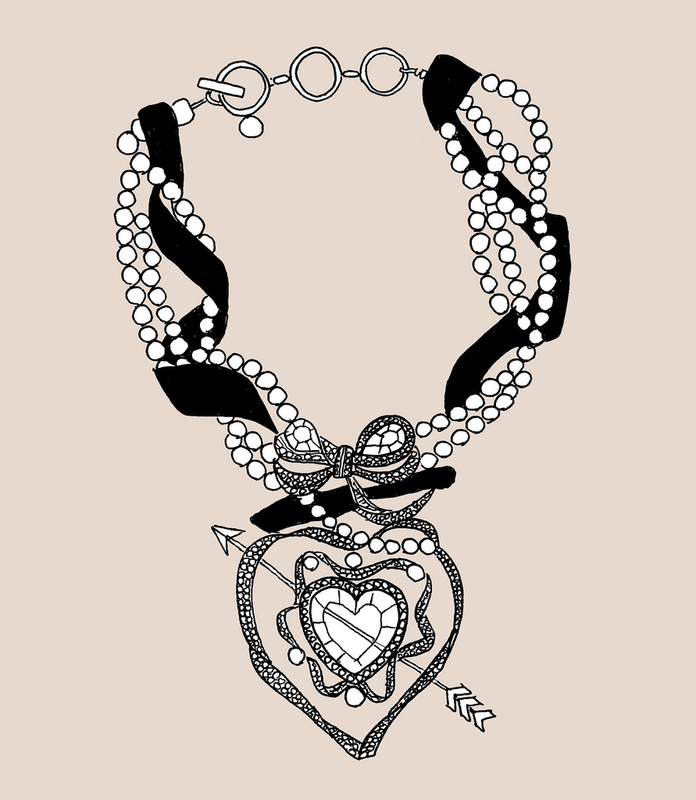 Oh, and I’m illustrating lots. Mostly portraits of women with small dogs! Marant: Willows or fringe boots? Willows, hands down. I’d had a love affair with them long before I snapped up a pair. I even put about three pairs on hold in various boutiques while in Paris! Last season, I finally succumbed and I’ve worn them to death. The fringe boots were an impulse sample sale buy and they’re definitely more of a work of art – white suede is not London-friendly! That’s a tricky one as I’m quite fickle when it comes to fashion. I’m equally drawn to Isabel Marant’s bohemia as I am to seventies prep. Perhaps a mix of the two? How would you say your style has evolved since you first started your blog? I’ve definitely developed an Isabel Marant habit since Canned Fashion began! I used to wear almost exclusively high street and vintage but working at NET-A-PORTER really gave me the designer bug – now I mix the likes of Proenza Schouler and Marant with H&M and Zara. I’ve learnt the satisfaction of saving up for a really special piece, although I’m still a huge fan of fizzy fashion. Probably once every couple of months. I rarely throw anything out though – just transport it to my parents’ house! 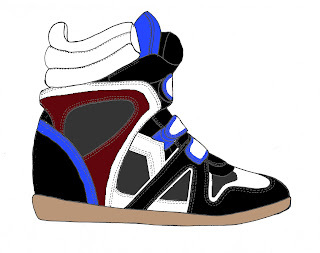 Your favourite/most memorable fashion experience? Attending international fashion weeks with NET-A-PORTER is something I’ll never forget. Shaking hands with Mary-Kate Olsen backstage at an intimate presentation by The Row in Karl Lagerfeld’s old house in Paris was a very memorable experience. Going to New York for 48 hours to report from Runway to Green was amazing – I got to wear Jil Sander and watch Nicki Minaj perform! And every Marant show I’ve been lucky to attend – I’m a die-hard fan! There are so many more memories. If you could only have one _____ this summer what would it be? Lipstick – I’m currently loving YSL’s Le Orange. Strangely, my inspiration came from Kourtney Kardashian – the Kardashians don’t usually inspire my style, but I loved her lipstick, and this is the colour! Nail colour – I’m enjoying a multi-coloured manicure using Essie’s pastel shades, such as Mint Candy Apple and Lilacism. And glitter! Pair of shoes – I love my Isabel Marant Willows, but I’ve already got my eye on the Betty sneakers in black! Bag – I’m still very much in love with my black Proenza Schouler PS1. It’s luxe but not too ostentatious – perfect with denim cut-offs and floral playsuits. Seamless Styling is based London and New York… 2 things you love about each city? You’re going to think I’m crazy, but I really like British weather! I enjoy being able to wrap up for most of the year. My favourite London bolthole? My flat. When I was travelling for work, I really missed it. I’ve spent a lot of time and effort making it my own over the last few years, and I love cooking and baking. Despite the diminutive size of my kitchen, I spend a lot of time in there! In New York, it has to be the food - I’d always make sure to have the avocado/chilli toast in Café Gitane and the spicy sweetcorn in La Esquina when I was there for work. Plus, I love the fact you can have potatoes for breakfast, lunch and dinner (!). Secondly, the vintage. Oh, the vintage. I’ve never found so many amazing pieces as I have in New York. My favourite is Daha Vintage on Orchard Street, and I used to love New & Almost New in Nolita before it shut down – I got a Pucci scarf for about £35 ($55) and a pair of Louboutins for £30 ($46)! 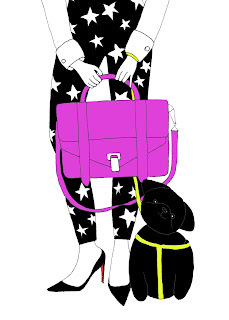 To see more of Natalie's illustrations and outfit visit http://www.cannedfashion.com/ for some inspiration.